We have just had a hint at the rainy season to come. Monday night brought an hours-long torrential downpour with major flooding, trees and telephone lines down, and power outages. 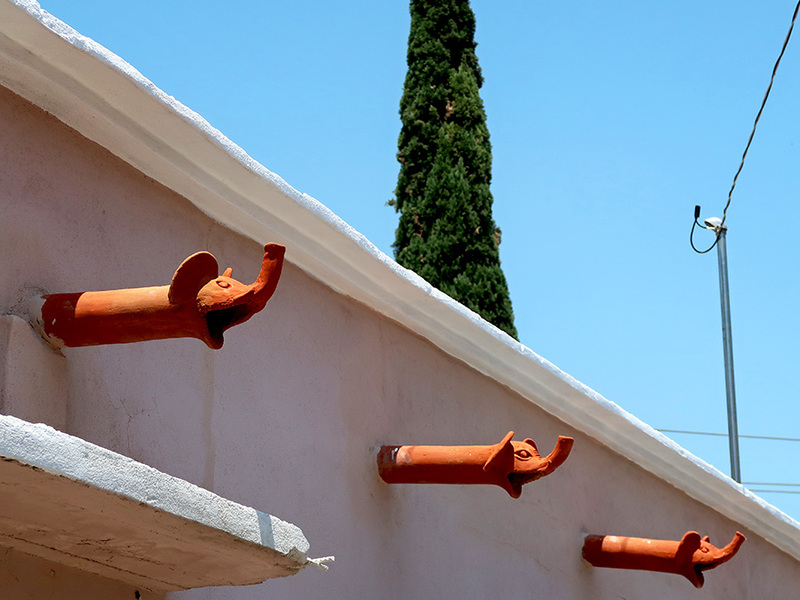 The electricity at Casita Colibrí stayed on and all plants in the garden remained upright and intact. However, my street turned into a raging river and water was cascading off the terrace like a waterfall. This herd of elephants might have come in handy! Looking up at this scene, I couldn’t help remembering one of my children’s favorite books, “Stand Back,” Said the Elephant, “I’m Going to Sneeze!” — and couldn’t help laughing.